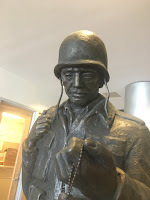 I have been teaching on-line for American Military University since 2008. During that time I have had to take many professional development courses about how people learn. There are those who learn by sight (visual learners), some by touch (kinesthetic) and those who learn by sound (audio). The best way to impart education is by a combination of senses to appeal to the widest group of learners and reinforce the message. 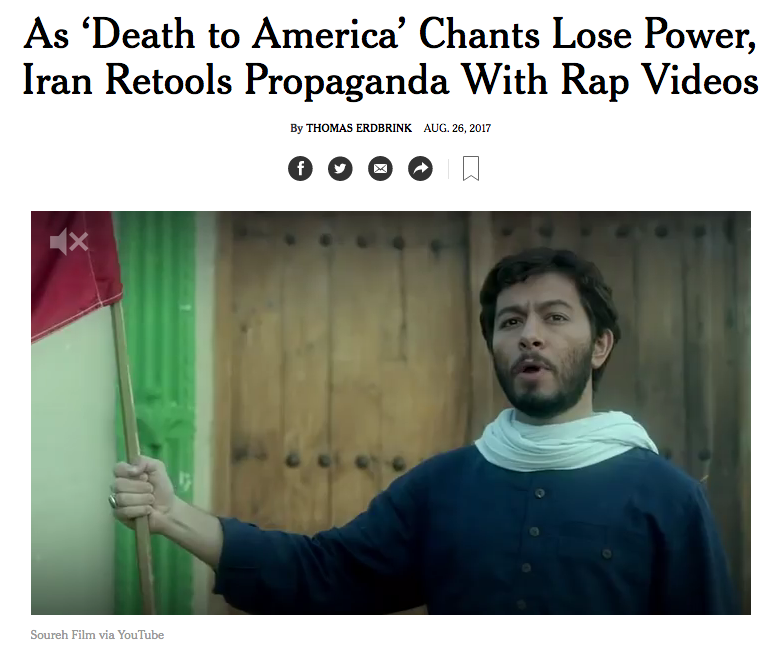 Apparently this concept is not lost on Iran as noted in a NY Times article from August 27, 2017, “Iran Retools Its Propaganda With Rap Videos”(See: http://nyti.ms/2iHiBDF; which is also the photo source). 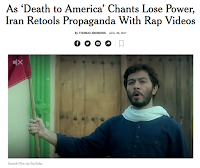 Iran now also seems to believe that chanting is not nearly as powerful as rapping and the You Tube is mightier than the sword seem to be corollaries as well. The article notes that the raps don’t appeal to everyone, but there doesn’t seem to be any question that they are effective for the target group. Terrorists typically target young people between 18 and 26. (see Huffington Post at: http://bit.ly/2wT5xkP). Appealing to multiple senses and personifying the message are proven techniques for education and marketing. Our adversaries are very capable of adapting. As technology advances, removing yet more barriers to mass communication, MISO/PSYOP will have to continue to adapt as well. 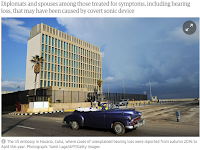 On Monday, June 5, 2017 I posted “Is it time to retire Loud Speakers in Favor of LRAD?” More recently there have been a number of articles concerning hearing and other medical problems being experienced by employees of the US Embassy in Cuba. You can find one such article from Task & Purpose at: http://bit.ly/2ivTmEh. 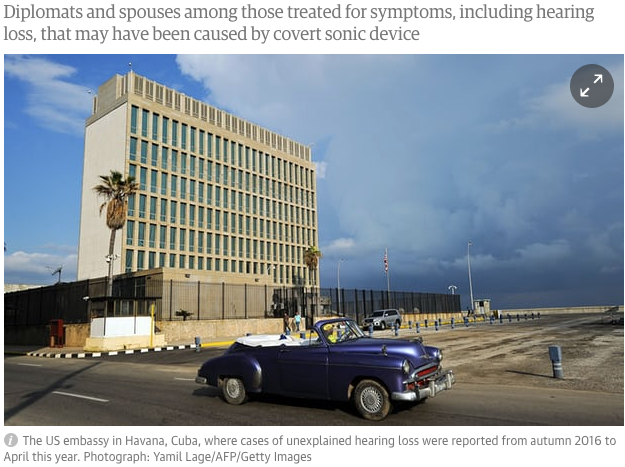 I am in no way saying that a Long Range Acoustical Device (LRAD) was or could have been used to create these medical issues. One expert quoted in the article was quoted as saying that there are no devices that could possibly create the systems of hearing loss, mild traumatic brain injury, nausea, etc. from an acoustic device. The expert felt that since there are no such devices that can cause acoustical damage without being herd, this was a non-story. Sources say that the ‘incidents’ started in September 2016 and ended this April. Thus far there is no firm resolve as to what caused the medical issues or even if there was a common cause. However, wouldn’t be interesting to ‘infect’ foreign citizens in your country as a means of discouraging their presence? Could you also employ stories about such incidents as propaganda encouraging foreign citizens to stay home? 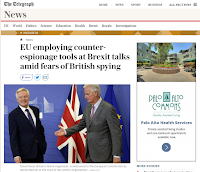 All of this would be great fodder for Social Media whether true or not and of course from a PSYOP or counter propaganda perspective, we don’t care if it’s true, only the impact. I had the honor and pleasure of spending time with the members of the 40th Infantry Division of the California National Guard and their employers while serving as an Outreach Advocate for the DOD Employer Support of the Guard & Reserve program. 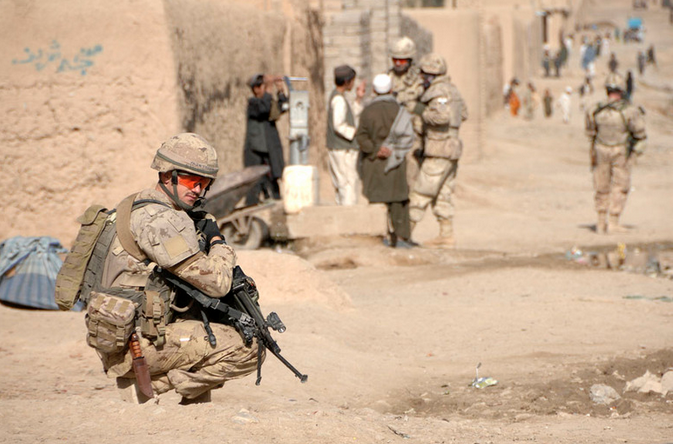 The Division will be sending a contingent to Kandahar province in Afghanistan to bolster Operation Resolute Support and the training mission there. (see: http://www.nato.int/cps/en/natohq/topics_52060.htm?selectedLocale=en; which is a photo source). The Divisions G3 who will function as the CJ3 once deployed gave an unclassified briefing about the Division’s mission. Essentially they are supporting the training efforts for the Afghan National Army (ANA) and the Afghan National Police (ANP). Of necessity division personnel will be going ‘out of the wire’ to help facilitate and conduct training. 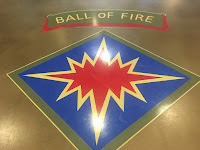 I have no personal knowledge of the Force make-up over there, however, I do know that there is no organic MISO in the National Guard and I’m pretty sure that USAR and active MISO do not train with them on a regular basis. This is a mistake. MISO Tactical Teams are specially trained to work with the local population and help form positive opinions in support of deployed forces. They are also able to work with local media (if there are any) to help them understand the nature of the local population. While MISO and Civil Affairs personnel are not intelligence collectors, they are knowledgeable observers who can provide meaningful and insightful information to intelligence and operations personnel. As the OpTempo continues to ramp up, consideration should be given to augmenting units who go out of the wire with MISO personnel. Perhaps the best way to start is by joint training opportunities in CONUS and overseas.